Fifty Sloane Avenue is a new office and retail development set in the Royal Borough of Kensington and Chelsea. Overlooking Draycott Avenue as well as Sloane Avenue, the modern serviced offices are perfectly placed in a much sought after location in Central London. TASK had the pleasure of working on this prestigious project, and provided a selection of products from TASK, ICF and Marelli Italy for reception and breakout areas, meeting rooms, shared open offices and executive offices. The elegant entrance space with bespoke art work is complemented by Marelli Tab coffee tables in marble and glass along with upholstered Morris armchairs from the new Velvet collection. Breakout spaces along the hallways are furnished with Clip coffee tables and a selection of Cubic, Morris and Nelly armchairs in a variety of luxury Rubelli velvets to suit the contemporary colour palette. The brand new building offers a variety of elegant serviced office spaces and meeting rooms which are available on flexible terms. Features include full reception and concierge service as well as private and open office spaces with integrated IT options. 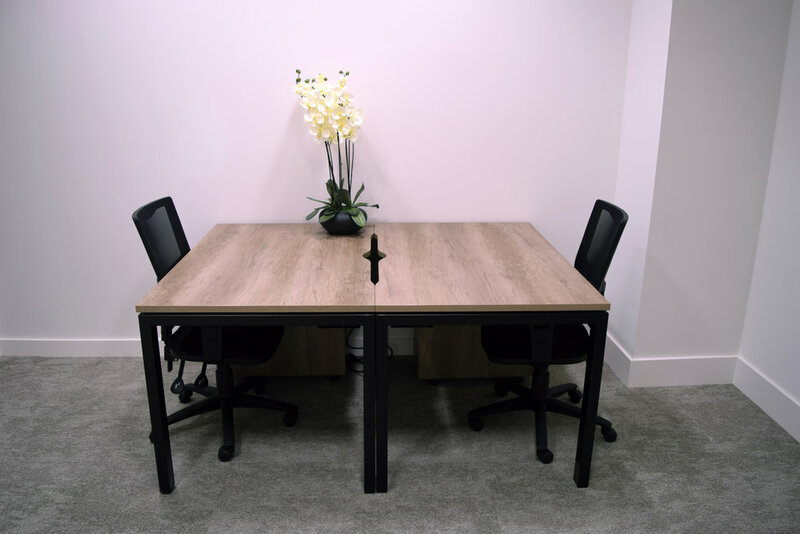 TASK Team desks with individual frames offered the perfect solution for the flexible use for the shared office spaces. In keeping with the contemporary interior, complementary finishes and colours were chosen for the workstations. Personal storage and bespoke TASK credenzas complete the look. 50 Sloane Avenue presents a variety of elegant, modern meeting rooms for flexible use. For the main meeting areas, ICF NoTable with a black base and bespoke veneer table top, along with leather upholstered Valea Soft chairs with a bronze frame, were chosen to suit the space. Smaller meeting spaces were furnished with TASK Disc round tables and Stick cantilever chairs from ICF. Click here to view all products on our website.